Book Review Good Luck with the Future By Dani Pujalte and Rita Puig-Serra Costa Reviewed by Janelle Lynch Rita Puig-Serra Costa and Dani Pujalte’s photographic project began in 2014 and took them from the home they shared in Barcelona on an international journey, ostensibly to confront their anxiety about the future and to discover how uncertainty is felt in other places around the world — a seemingly inexhaustible project, particularly in these harrowing times. By Dani Pujalte and Rita Puig-Serra Costa. Self-published, 2017. 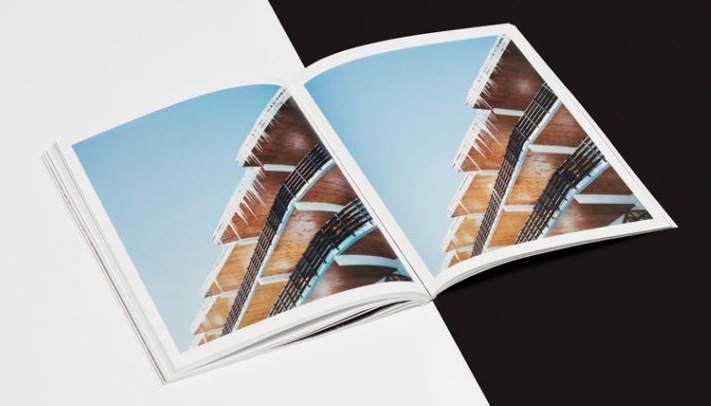 Photographs by Dani Pujalte and Rita Puig-Serra Costa. self-publsihed, Barcelona, Spain, 2017. In English. 120 pp., color illustrations, 7¾x10¾". Good Luck with the Future begins with a black-and-white image of a light cone on an iPhone screen. While a light cone is a special and general relativity construct that depicts how light travels in space and time, the images and text that follow are not ultimately rooted in Einstein’s theories; rather, they are rooted firmly in the human condition. Rita Puig-Serra Costa and Dani Pujalte’s photographic project began in 2014 and took them from the home they shared in Barcelona on an multinational journey, ostensibly to confront their anxiety about the future and to discover how uncertainty is felt in other places around the world — a seemingly inexhaustible project, particularly in these harrowing times. But their interest wasn't sociopolitical. It was deeply personal, and nonetheless, relevant to now. As was what they learned while making the portraits, still lifes, land-, sea-, and skyscapes that makeup Good Luck with the Future: the value of being present — of paying attention to what is happening in the moment instead of being preoccupied with an unknowable future. Good Luck with the Future. By Dani Pujalte and Rita Puig-Serra Costa. Self-published, 2017. 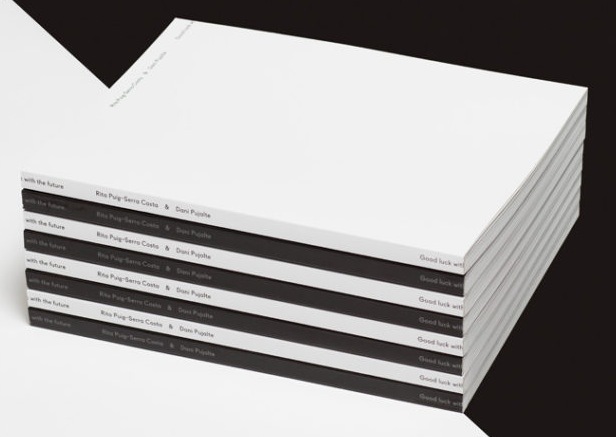 Self-published in 2017, and designed by Affaire Projects, the Barcelona-based design studio, Good Luck with the Future’s shiny black softbound cover suggests undefined space and simultaneously functions as a reflective surface. Hold it up, and you will see your likeness. 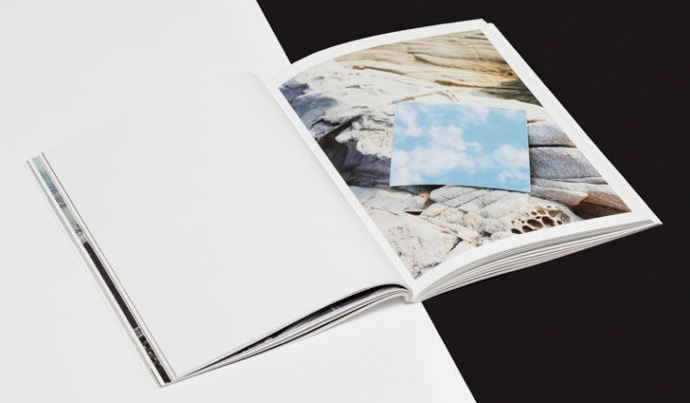 The 58 color and black-and-white photographs are laid out in single and double page spreads and are categorized by references to the light cone’s depictions of time: Absolute Past, Relative Past, Here, And Now, Relative Future, and Absolute Future. 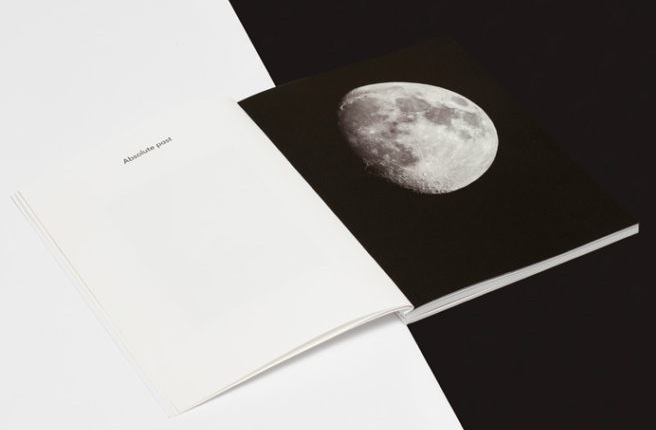 The artists used the moon “as a narrative tool, to add rhythm and connect the different parts of the book.” It also supports their yearning for certainty. Despite its mystery, it reliably rises. 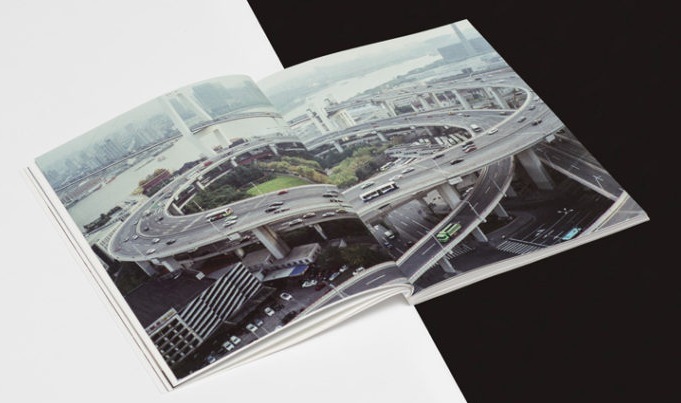 In the first section, Absolute Past, an image of Shanghai’s Inner Ring Road shows an elevated expressway loop that connects to a bridge over the Huangpu River. The implied movement of traffic coupled with the graphic architectural elements and the aerial vantage are vertiginous. In contrast, Rita, Delta de L’Ebre depicts the photographer standing, arms draped, dressed in cutoffs and a pink T-shirt in front of Catalonia’s waterway, the wind blowing her long brown hair. With her eyes closed and lips slightly parted, she appears to be willing calm. Another image shows a concrete pillar foundation against a silhouetted palm tree backdrop one Indonesian dawn. The darkness of the foreground and hazy magenta sky confuse the reading of the image: is it an abandoned or in-progress site? The following five sections continue the book’s — and the photographic medium’s — motifs of movement, space, and time, using varied and often surprising representations, including suggestions of the contrary forces. In Relative Past, there is Butterfly, a black-and-white still life of the insect from the Indonesian island of Java enclosed in glass. Air Tokyo shows an abstract image of red and yellow lines — perhaps strings — against blackness. With one exception, they are all taut, though what anchors them is not revealed. On the previous page is Coin no. 1, Berlin, which shows a flash-lit forearm and hand a second before it flips a coin. 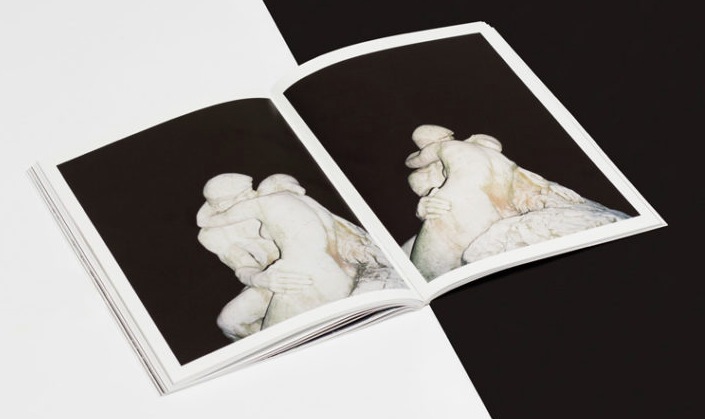 In Relative Future, the wish to freeze time — and sentiment — is suggested by two images of the sculpture The Kiss, apparently referencing Rodin’s masterpiece in Shenzhen, China, and in two images of icicles dangling from a roof’s edge against a sunny blue Spanish sky. The journal entries in Catalan and English at the end of the book chronicle both the physical and psychic terrain that the photographers traverse. The diaristic details about the dissolution — and transformation —of their romantic relationship confuse the book’s overt thematic structure and would risk its sophistication if the pictures themselves weren’t so intriguing. A list of plates with image titles and page numbers precedes the entries.